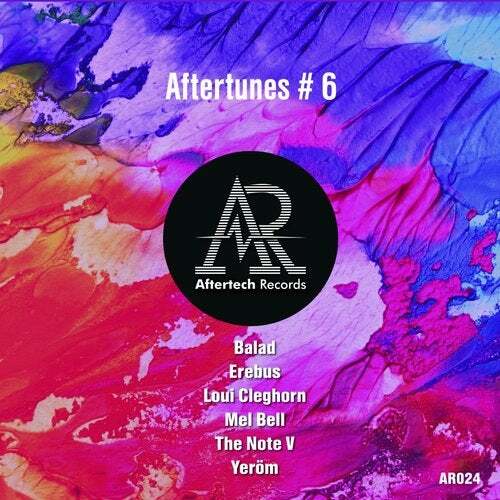 The very first appearance of Balad on Aftertech Records and what a track they deliver! A wonderful story of heavenly pads and a sweet brass. All of this is supported with a very deep bass. A never ending lead glues this all together, growing more and more in strength, controlling the power throughout the track. The mystical vibe in this track will bring everyone to silence once the break comes in. Only to make everybody dance again once the bassline is brought back. Another premiere on the label by Erebus. One of the more energetic tracks of this compilation. A catchy groove is created right from the start by smart use of hihats, only to be followed by an even more enticing melody. It does not take long for a bassline to take over completing the track to its full power. This will be a killer on the dance floor for sure! Loui Cleghorn joins in with an awesome housy track. It has a bassline that screams to be played loud. Wood blocks play like there is no tomorrow and the beat is simple yet very effective. All of this is topped off with some very spacy special effects and synth work. Halfway Loui introduces an intriguing lead that helps building up to a massive drop. Going all out one last time before the track comes to an end. Mel is not one to mess around. She starts out with a strong beat to which she quickly adds a deep lead and bass. The bassline is lifted by a compelling brass which delivers the power through the entire track. Smartly placed claps and a luminous lead glues it all together, making this a wonderful tale in which you can truly lose yourself. A vocal like pad grabs the attention right from the start. With a swift percussion and airy plucks on top the mood is quickly set. He manages to keep building the tension with an on-going lead and catchy bassline only to take it all away. During the break he brings it all back, making you yearn for the drop to come. The intelligent structure of the track combined with the full sounds makes this track a treat for the ears! Straight from the start he introduces a forceful kick and a growling brass, preparing you for the powerful upbeat bassline that will blow you away. In the break a vocal brings you in a mesmerizing state empowered by an enticing melody. With an immense growl everything comes back together in the drop. This track is both powerful and hypnotizing at once, another masterpiece by The Note V!